I saw this today in SMH, wonderful! That we are happy – the others sad. That tears of gladness fill our eyes. We vote and have them flushed away. That’s brilliant! Thanks for pointing that out Pam. 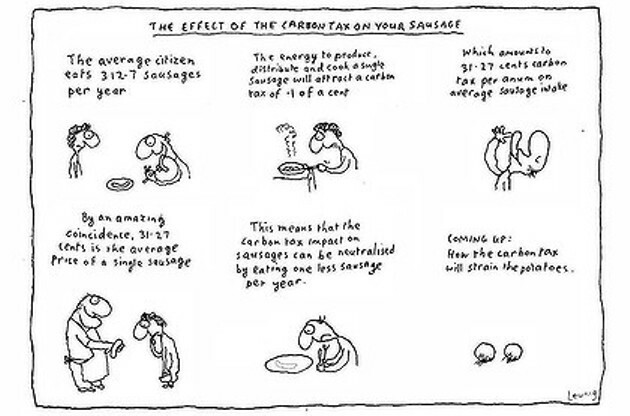 It comes from Leunig’s 2007 piece in ‘Carnival of the Animals’. I have a copy of it, and perhaps I’ll post the poem closer to Election Day! Carbon tax / mining tax…no one can tell anyone just how much it will cost… trees eat and store carbon…should utilise sustainable forestry.